With Le Champlain, Ponant has distilled the essence of its style of adventure cruising into a purpose-built vessel that is modern and comfortable. 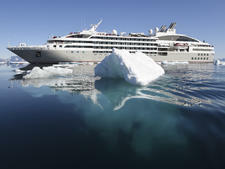 As such, passengers can expect superior dining, accommodations and public spaces when compared to the current crop of dedicated expedition vessels. This translates to a luxury-level spa, included drinks, Wi-Fi, butler service in suites and niceties like airline-style in-cabin screen entertainment. Le Champlain is particularly well-suited for passengers easing into expedition cruising who may have held back because of the lack of suitable vessels to match their upscale comfort expectations. 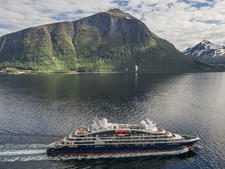 While not super luxurious -- and many would argue such opulence unnecessary -- Ponant has nevertheless elevated the bar for upscale expedition cruising with Le Champlain. 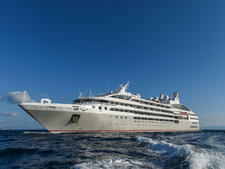 Le Champlain is the second in the planned fleet of six "Explorers" ships for French small-ship cruise line Ponant. All ships in the Explorers Class are smaller than the previous Le Boreal Class (184 vs. 264 passengers) and have a relatively light PC6 ice rating, restricting it to the gentler, summer season in polar regions. Technically, the ship is a marvel, with state-of-the-art features that include power-saving energy systems and efficient, non-discharge wastewater treatment. Passenger spaces include the revolutionary, below-the-waterline Blue Eye Lounge and three-position, retractable marina for simplified Zodiac operations. Besides the many technical features, comfort and luxury are not ignored with ample space for leisure and relaxation. Despite Le Champlain's compact size, there is more than adequate space even when the ship is full, and you are unlikely to feel crowded or cramped -- even at mealtimes or when disembarking for excursions. Visually, the ship mirrors the design essentials of the larger Ponant vessels with Scandinavian accents and French flair that speak of elegance without being overly extravagant. Ponant has kept its tradition of maintaining onboard entertainment, something unusual in strict expedition cruising, so passengers can enjoy a pianist with their after-dinner drinks and the occasional dance production in the high-tech, 188-seat theater, the same venue that is more commonly used for enrichment talks. Despite several years in the international market, Ponant's primary clientele remains French, although that mix is slowly changing and incorporating more passengers from English-speaking (and other) countries. 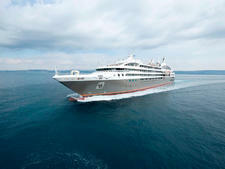 Ponant is making a clear effort to be friendly to non-French speaking cruisers with bilingual announcements and crew members. Irrespective of nationality, the makeup is mature couples and singles who clearly enjoy a sophisticated lifestyle and comfortable living standard. Passengers tend to be well-traveled with high expectations, but are still prepared for a muddy jungle trek or to exit a Zodiac in knee-deep water on a beach with no jetty. Some like silver service and fine wine, while others are quite happy at the buffet in shorts and sandals. There tends to be a greater international contingent on the more expeditionary voyages (Arctic, Antarctic) as opposed to the Grand Voyages or those in the Mediterranean or Caribbean. It must also be remembered that Ponant frequently charters these vessels to other large travel companies, which may significantly alter the mix of passengers aboard. Expedition cruising dictates a more practical approach to one's wardrobe aboard any ship, but aboard Ponant you tend to see many of the well-known adventure logos on jackets and clothing. 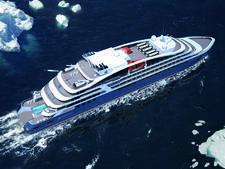 Leave your parka at home for polar voyages as Ponant supplies a gorgeous red jacket for cold-climate travel, but if you are traveling in the snow and ice, bring waterproof pants and rugged walking shoes. Ponant’s dress code can best be described as resort casual, and many of the gentlemen will wear slacks, collared shirts and loafers (often without socks) with the signature cardigan around the shoulders. One semi-formal gown is a good idea for ladies with perhaps a little bling, but one shouldn't consider any event aboard a Ponant sailing black-tie formal. During expeditions, as is normal in the industry, all shore excursions, interpretation, enrichment, Zodiac cruises/transfers, etc. are included in the fare. 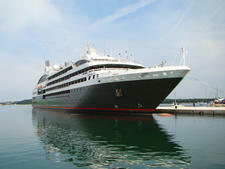 Voyages aboard all Ponant vessels are designated either "cruise" or "expedition." For the latter, a specialist staff comes aboard to provide lectures, enrichment and excursions and these activities are included in the fare. Outside of the expedition format (usually in more on-the-beaten-path places, such as Europe or the Caribbean), passengers may be required to pay for certain shore excursions, but often one per day is complimentary. 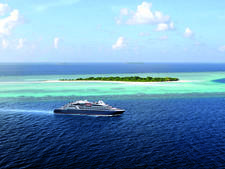 Charter companies have their own set of inclusions (and exclusions) so be sure to check with your booking agent if you are not booking with Ponant directly. Gratuities are always included in your fare, as are drinks unless you want premium beverages, so no need to tip. All other tipping is at your discretion. The onboard currency is the euro. 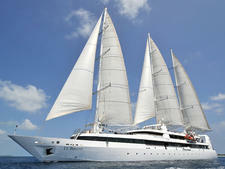 Wi-Fi is complimentary and available throughout the ship, but may be slow or patchy depending on your sailing region.